After a tragic loss in our family in December of 2016, we have looked for ways to memoralize and honor our Sarah. 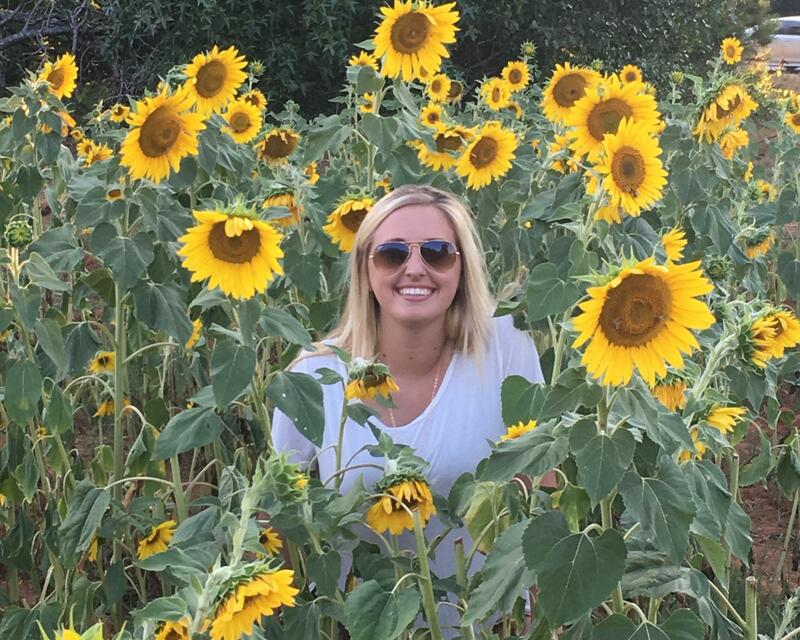 We often called her Sarah Bear and her favorite flower was a sunflower, with her favorite quote being 'I want to be like a Sunflower; so that even on the darkest days I will stand tall and find the sunlight'; reminding us to do just that. In this process of grieving and healing we decided to make teddy bears out of her clothing for family and friends to have a 'huggable memory' of her. As much as we would never wish this tragedy on anyone, we know that there were lots of others in our same situation, without sewing skills of their own, that would love to have a 'huggable memory' as well. Sunflowers Bears was created to fulfill this need. Our logo has been created a Bear for our "Sarah Bear' and a Sunflower to represent her light and spirit around the world as the teddy bears are made.